As a parent and a blogger, literacy is extremely important to me. It’s sad to know that despite all the economic and scientific advantages available in our country, 14% of U.S. adults are not able to read at a basic level. Illiteracy has a strong correlation with a variety of negative social impacts including incarceration and poverty. That’s why Read Across America Day is so important, especially for young children. This holiday coincides with the birthday of one of the most famous children’s authors of all time, Dr. Seuss, and was created to get children excited about reading. When you think about it, reading can be a catalyst for a child’s imagination and can help lay the foundation for a successful future. Come March 2nd, schools, educators, parents, and children will join together to celebrate Read Across America day. If you’re interested in bringing the fun home, I’ve got some ideas on how to celebrate Read Across America Day with your family. Host a Book Drive. Unfortunately, poverty can prevent people from accessing books and other reading materials. You can help out by hosting a book drive to donate to a library or school. Volunteer to collect books from your friends, relatives, neighbors, and others. Most people have plenty of old books and magazines lying around that they no longer use, so it shouldn’t be too difficult to get at least one book from the people you contact. Throw a Party. 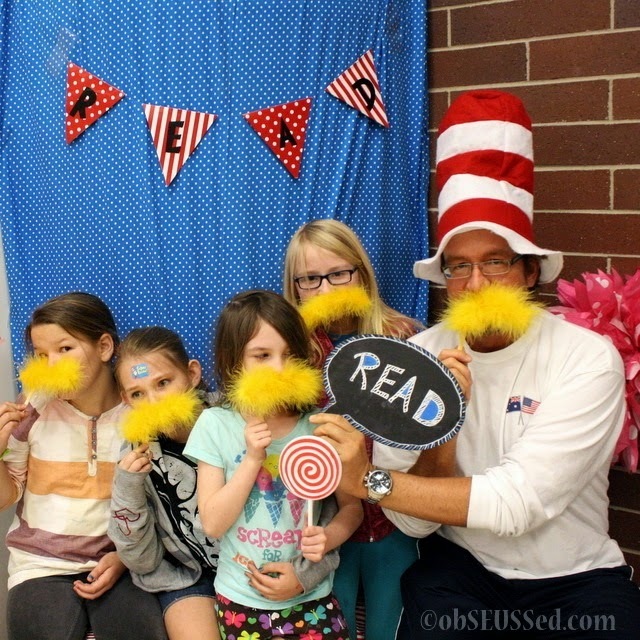 If you’re looking to get your children excited about reading, make it into an event! Invite your child’s school friends over for a fun event. You can do some story-telling, play educational games, and have an all around fun time. You can find plenty of Dr. Seuss party ideas online to help you plan a great shindig. Dress in a Costume. One of the best ways to bring attention to a cause is to do something outrageous. That’s partly why fun run marathons are so popular nowadays. Not only is it fun to get festive, but it will also get people asking questions. When prompted about your bizarre attire, you can help spread awareness about the importance of reading. Volunteer at the Library. One way that you can impact learning is by volunteering at your local library. Public libraries are constantly in need of volunteers. In addition, by volunteering, you can have a direct impact on the people that you help. Send books to friends. It’s not enough to just know how to read. No matter what age you are you’ve got to continue to challenge yourself and others with books that push your limits. Gift a book to a friend or encourage your child to send a book to their friend and help reignite their love for reading. With these simple activities, you can start a tradition and help impact people in your community. How do you celebrate Read Across America Day? Share your ideas by commenting below!